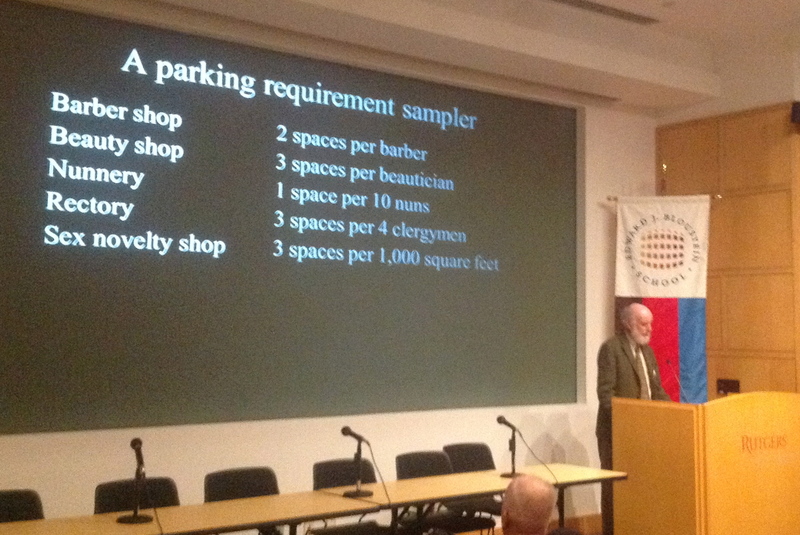 Prof Donald Shoup Tells NJ To Try Something Different With Parking. Is Princeton Listening? Price on-street parking properly. Specifically, by setting a high-enough fee that there are two or three open spaces on any block. If occupancy rates are higher than this, the meter price is clearly too low. If there is more parking available than this, then the meter price is too high, or the parking should be unmetered. Introduce ‘parking benefit districts’, i.e. money collected from meters on any block becomes a fund for the benefit of residents/businesses there. Get rid of off-street parking minimums. With on-street parking always guaranteed by appropriate pricing, people can choose where to park depending on how much they want to pay. There is no longer any need for expensive garages and wasteful surface parking lots. Prof Shoup specifically rebutted the idea that dynamic parking pricing was a ‘gouge’ or an unfair tax on lower-income drivers. As he pointed out, the poorest in society don’t drive even drive cars. And during a pilot program of dynamic pricing in San Francisco, the average fee paid at meters fell. Parking therefore became easier to find and less expensive. Despite the demonstrated benefits of dynamic parking pricing, it still faced resistance from reactionary elements in San Francisco. In Princeton, Council has struggled to implement even minor changes in parking, and has back-tracked three times this year on plans that might limit the ability of drivers to park where they like for free. Shoup’s proposals represent a more flexible approach that gives people more choice about where to park, while reducing the need for arbitrary and burdensome off-street parking requirements. In Princeton, people are constantly complaining about the difficulty in parking, so Shoup’s ideas warrant serious examination. This entry was posted in People, The Parking Question. Bookmark the permalink. 1 Response to Prof Donald Shoup Tells NJ To Try Something Different With Parking. Is Princeton Listening? 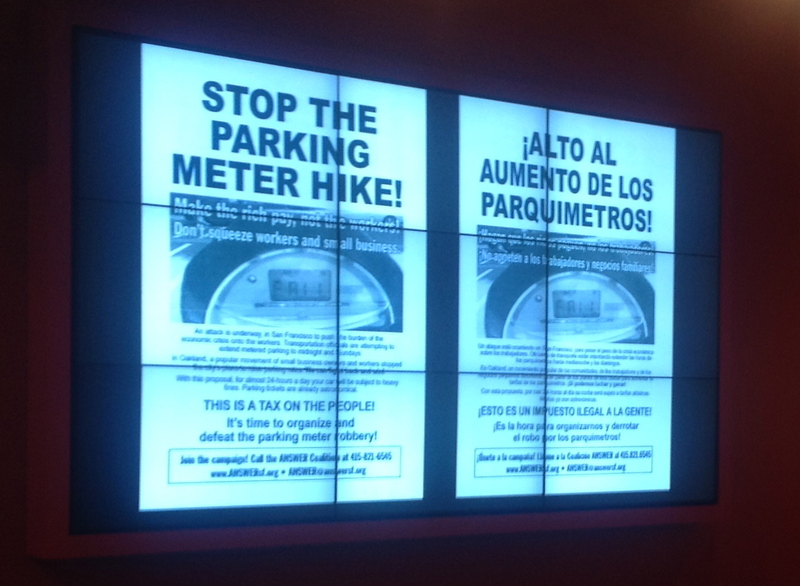 He’s absolutely right: it’s essential to put meters on popular parking locations. “Free” causes a mess. Of course Princeton isn’t listenting; it’s a regressive little elite enclave which has refused to listen to stuff like this for over 30 years. Maybe Rutgers and New Brunswick are listening, though?